I’ve never really been one for wearing prints. Or dresses. Or skirts, or that matter. Until this summer, when I’ve suddenly gone crazy for all three. It started with an apple green and red floral print maxi dress by Rixo which I picked up in the sales (after some very focussed and intense online stalking). Then a post-box red dress with tiny blue and yellow flowers by Ghost which I spotted on an Instagrammer. Then a leopard print silk skirt from Danish brand, Ganni. All special pieces which I love so much they have relegated my jeans to second place this season. The shops are practically bursting with a riot of dresses and skirts in ditsy florals, bold stripes and statement animal prints at the moment. Here’s my pick, with some items already in the sale. 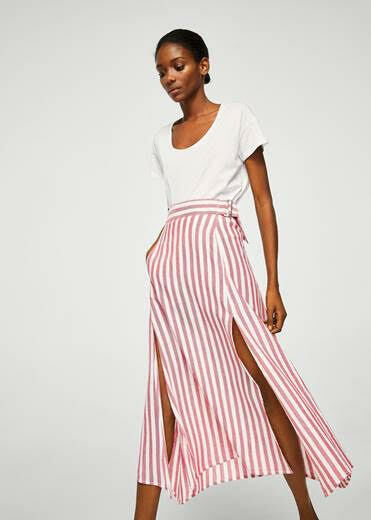 My favourite brands for summer dresses are overseas ones – in particular, LA-based Faithfull the Brand, and online only brands Rouje and Realisation Par. The only problem with these is the blah blah tedious overseas charges they come with, although a limited range of Faithfull is stocked by ASOS and Net a Porter (you have to be quick off the mark though, it sells out quickly) and Realisation Par is opening a London pop up early July (big woop). Closer to home, this pale yellow button through dress from & Other Stories is a sunny gem, and this vibrant red dress from Zara will look killer with a tan. I am generally not a fan of waist cut outs in dresses as they can look a little meh, but the length of this floral Top Shop dress keeps it modest. If you’re going floral, I think it’s nice to toughen up your look a notch with a vintage look denim jacket. I think prints look best with simple footwear and this summer, I’ve been living in my Veja trainers. 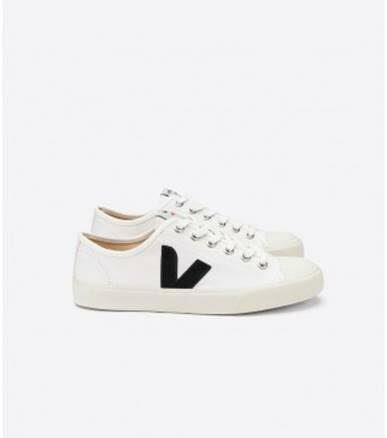 Veja is a Parisian “eco-friendly” trainer brand, which you can pick up at Arket and elsewhere in an array of styles and colours - I like their classic canvas sneaker the best. I’ve also thrown in a pair of neutral Gazelles as they are a timeless classic – I really like these in deep burgundy too. I’ve seen so many gorgeous leather flats on the High Street this season, particularly in Topshop. These from Dune look remarkably similar to a Hermes style which cost a gazillion pounds, and this pretty braided pair, again in leather, from Zara look a lot more spendy than £30 and also come in black. 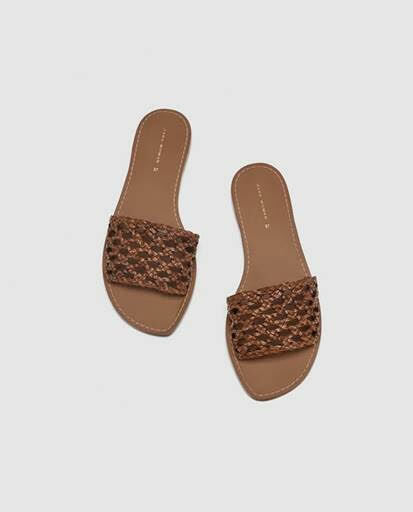 For when you are feeling truly pedi ready, there are these super simple strappy sandals from Free People. 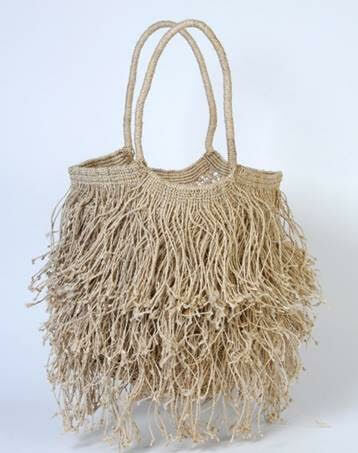 Remarkably, in some shops, you can still buy a bag that is NOT made of straw or raffia. I’ve recently brought a larger, striped, jute macramé bag from Maison Bengal (a fair trade company, stocked by lots of fancy shops but I bought mine direct from their website and it arrived super quick). Their shaggy number might divide opinion (my husband thinks it looks like one of Chewbacca’s cousins), but they have plenty more amazing options on their website, all handmade in India. 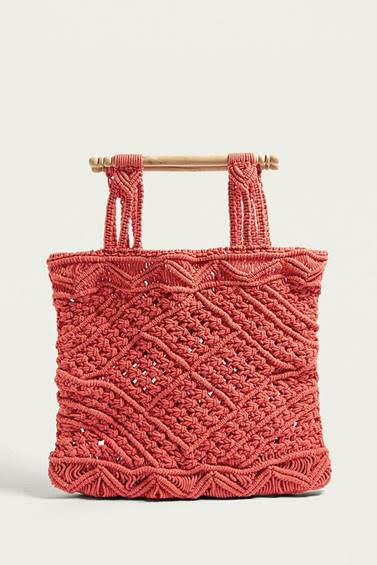 This red macramé tote from LF Markey is now in the sale, but a quick search on Etsy will unearth literally dozens of vintage versions in this style for around the same price or even less. And then there is the classic French string shopping bag – stocked by Grey September amongst others – just don’t pack anything in it which you don’t mind losing.